Product Description: It’s not just a pillow, it’s every pillow you’ll ever need! 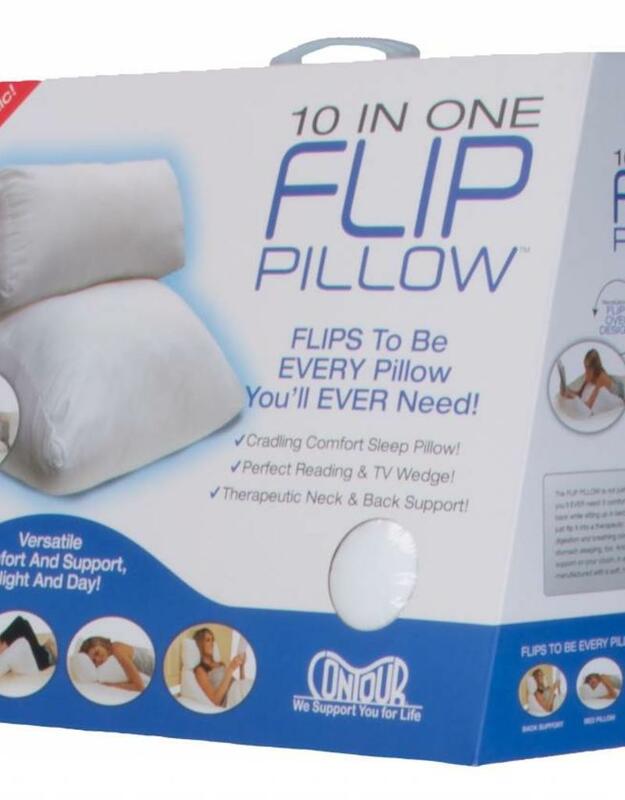 The Flip 10-in-1 Pillow’s versatile design can be used as a bed wedge to support your upper torso for reading and watching TV, or flip it to a lower incline to aid digestion and breathing during the night. It comfortably elevates knees to soothe your aching back, and raises legs to help swollen feet. Flip it to sleep in a more traditional position on your side or back. Comfortably read or sleep on your stomach with your elbows propped and your head nestled. Enjoy multiple levels of back and neck support and accommodate virtually any positioning need. 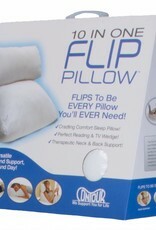 Position yourself for comfort and a great night’s sleep with just the FLIP of a pillow.